2012 - Love Will Set You Free - NUL POINTS! Born in India in 1936 (a long time ago it was) as plain Arnold Dorsey, our 2012 entrant and his family moved to the UK when he was ten. His big break came in 1965 when he signed up with Gordon Mills, the then manager of one Tom Jones. He was persuaded to adopt the stage name of the late German composer Englebert Humperdinck. Within a couple of years he had scored two UK number one singles in “Release Me” and “The Last Waltz” and has to date reportedly sold over one hundred and fifty million records. From the very start it was known that the BBC were opting for another internal selection of both song and singer, and after months of tabloid rumours, on March 1st they announced that Englebert would be the UK representative in Azerbaijan. Just over a couple of weeks later, just before the entry deadline, the song itself was revealed. Drawn 1st of 26 in the last contest to date where performance order has been decided by a random draw. 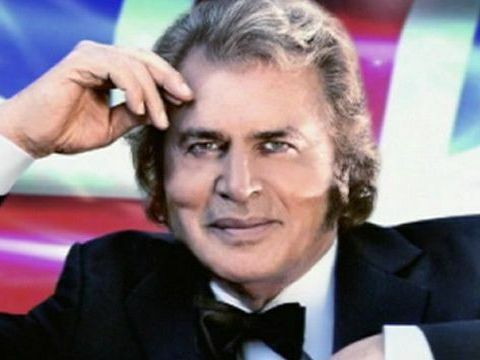 Unsurprisingly Englebert is the oldest ever UK Eurovision entrant, turning sweet 76 just before the contest. Before the voting started Englebert was briefly interviewed by one of the Azeri presenters in the “green room” where competitors sit awaiting the voting. “Love Will Set You Free” accrued votes from just four of the other forty-one countries voting. Its top vote was a five from Estonia. Undeterred by his result in Baku, Englebert has continued to perform and record. In 2014 he released a duets album “Englebert Calling” that featured collaborations with (among others) fellow Eurovision luminaries Cliff Richard, Lulu and Olivia Newton-John. Five years on this still seems like a bizarre choice by the BBC. The imperative at the time (the second year of completely internal selections) seems to have been to pull in a big name for the viewing figures. The song remains lovely but was always going to be a bit too delicate to make traction on the Eurovision scoreboard. Englebert’s croaky performance in the Friday dress-rehearsal quite easily explains his last place in the jury votes when the split results were revealed, yet his performance in the Grand Final was suitably grand indeed and quite charming. In one way “Love Will Set You Free” can be regarded as a landmark in Eurovision history. It was drawn in position #1 and followed by some other downbeat songs. The very next year the EBU decided to dispense with a random draw order, instead the production team deciding on performance order “to best showcase” each entry and try for a more entertaining show. So this entry may unwittingly have become quite important indeed.